Here is what STV could look like if ITV took it over. Maybe if you has used the “s” that is currently in STV’s logo, this would have worked. But I think we need to see more. 1 picture is not enough for me to give a rating anywhere near a 3. There are multiple problems, especially the jaggered edges around the “tv” circle. 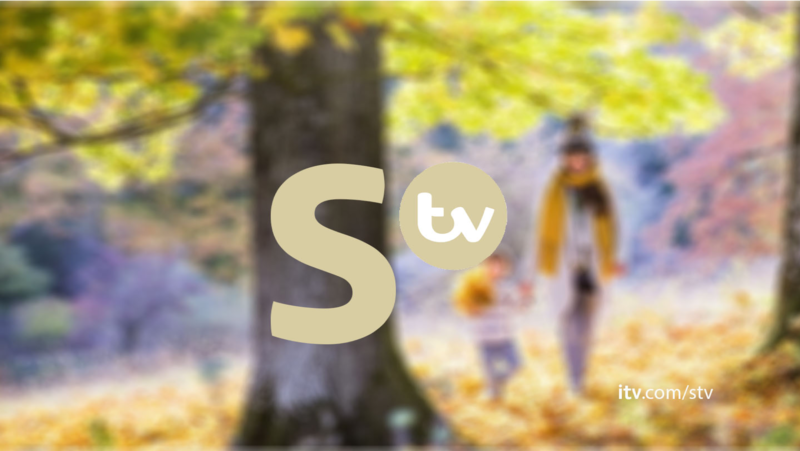 That is super lazy even to fit the (now outgoing) ITV ident concept, it's not that hard to use the actual 'S' in fact on previous posts someone did a more realistic mock up. It's nice to see what STV would look like if they were to use a UTV style logo. Having said that, I'm not really a fan of the current UTV logo (even though it was miles better than what it was before) and I sort of feel the same way about your new STV logo, even though I think you've recreated it well. I firmly disagree with the comments on it "being lazy" not using the current 'S' from the STV logo as I don't think that it is necessary given it's a new logo - the one you've used is far more 'in-line' with the ITV look which is nice. If you're going to take this further, I'd prefer to see you move away from the current look with a large 'S' and a smaller 'tv' in a circle and move towards creating something more like the current itv logo where it is all the same size and flows nicely. Overall 3/5 with room for improvement in the ways I've suggested, but generally pretty good. The current UTV logo still really surprises me in the way it splits up/modifies the ITV logo so drastically… that's the sort of thing that is usually sacrosanct in branding guidelines.